U.S construction spending grew by 0.2 per cent in March this year. The marginal increase reflects the gains in private residential construction despite the lethargic pace of the housing market recovery. The overall number was weighed down by the fall in public construction, which is languishing at its lowest level since 2006. The increase in mortgage rates has made it more difficult for Americans to own homes. In April, the average rate on a 30-year mortgage was 4.33 per cent. The spike in rates came on the back of Federal Reserve’s announcement to cut back on its bond-buying program. The program was designed to keep interest rates low and encourage more borrowing. However, the slash in monthly bond purchases from $85 million to $45 million, starting December last year, has pushed rates higher. The parallel rise in home prices - by over 12 per cent in 2013 alone - and slow growth in wages, has made homes less affordable for Americans. After a period of snowstorms, home purchases in the Northeast picked up. 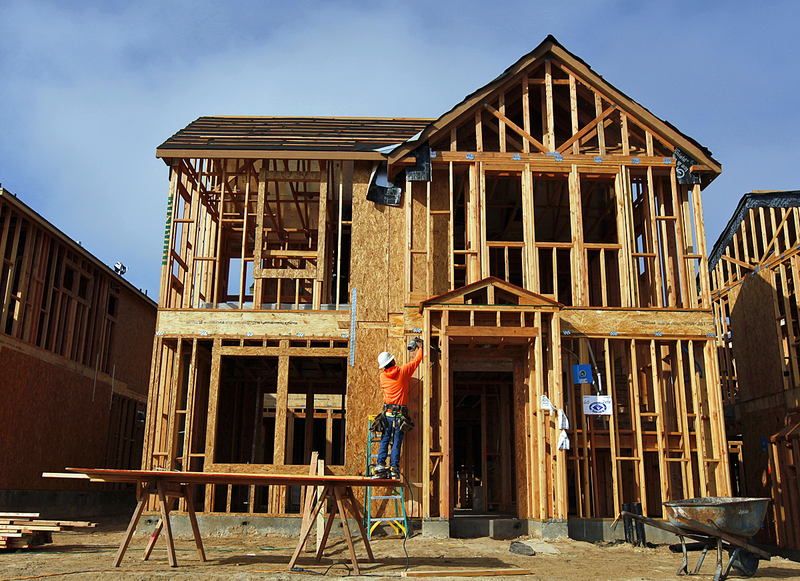 There was an overall spike in private residential construction, with builders starting work on 946,000 homes in March. The gains were divided between single-family, multi-family and remodeling projects. Fewer dollars were pumped into government projects this quarter, with a 0.6 per cent dip in spending, including a 2.3 per cent fall in educational buildings and schools. The federal government cut its construction spending by 2.4 per cent, while state and local governments slashed theirs by 0.4 per cent. On a positive note, the manufacturing sector seems to have put the harsh winter behind it, adding 12,000 jobs. Encouraged by a positive economic climate, businesses are ordering more goods and maintaining a positive outlook.